Avochato is the easiest way to send and receive text messages (SMS) directly from Slack.With Slack’s “Threads” feature, each conversation is threaded, making it incredibly simple to chat via SMS with your customers, employees, and others.When you sign up with Avochato, we’ll give you a unique phone number that your customers can call or text into. Click the “Add to Slack” button in the “Integrations” tab to enable Slack. All calls and texts post to your Slack channel of choice. Then directly from Slack, simply reply and a text message will be sent to that contact.To get started with Avochato, go to www.avochato.com. No credit card is required– we only ask for your basic details. Once you validate your phone number with us, you can interact with our free demo account by texting back and forth between your phone and the demo number.To contact us, text us at (415) 214-8977. Avochato will be able to post to specific channels in Slack. 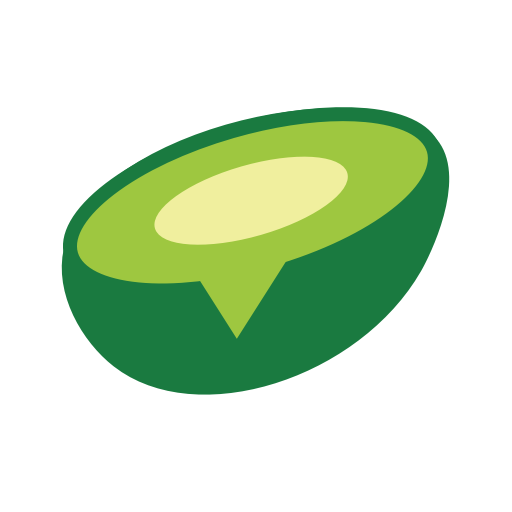 Avochato will be able to send messages to your workspace. Avochato will be able to view the email addresses of your Slack workspace’s members. Avochato will be able to access any messages and activity you can see in public channels. Avochato will be able to access any messages and activity you can see in direct messages. Avochato will be able to access any messages and activity you can see in private channels. Avochato will be able to access any message history and activity you can see in group messages. Avochato will be able to install a bot user that appears in and has access to your workspace’s directory. It can also post messages and view activity on messages in any channel it is invited to. Avochato will be able to access profile information for all users on your workspace, including names and contact information.